You know that famous Seinfeld break-up line -- It's not you, it's me. 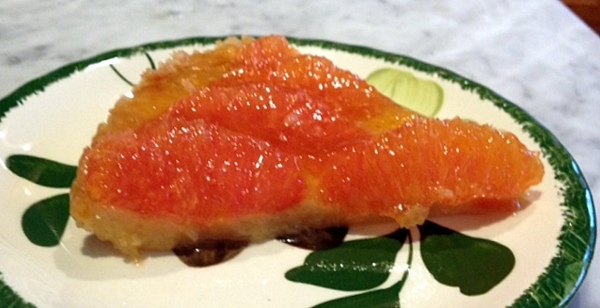 Well, in the case of this tart -- It's not me, it's the recipe. 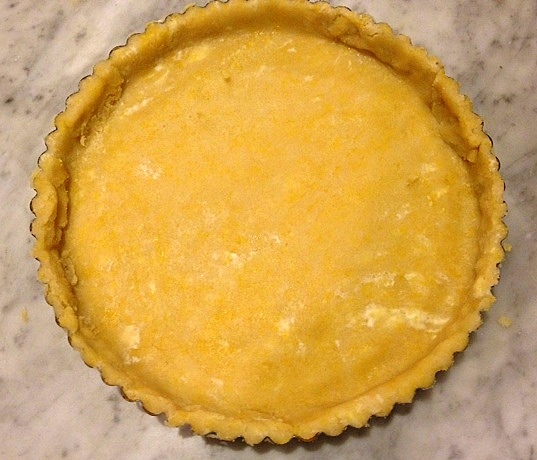 I made this Tarte a l'Orange for the latest installment of the Ballet Cook Book Dinner Series, an ambitious project where a group of us recreate meals in the 1966 Ballet Cook Book, by Tanaquil Le Clercq. Each chapter features recipes contributed by choreographers and/or dancers. We chose Tanaquil's chapter for the most recent dinner. Balletomanes can read about the entire dinner (our most successful to date) and the tragic life of Tanaquil here, in ballet blogger Ryan Wenzel's post, and here in Balletcatessen, Antonio Carmena's new culinary-dance blog. Antonio, a soloist with the New York City Ballet, chefs all the Ballet Cook Book dinners (and beautifully, I might add). One serving of Tart a l'Orange, plated with an eggnog so thick (thanks to me over-beating the cream) that we piped it on the dessert plate. Luckily, it was so booze-laden that it was good as both a beverage and a garnish. 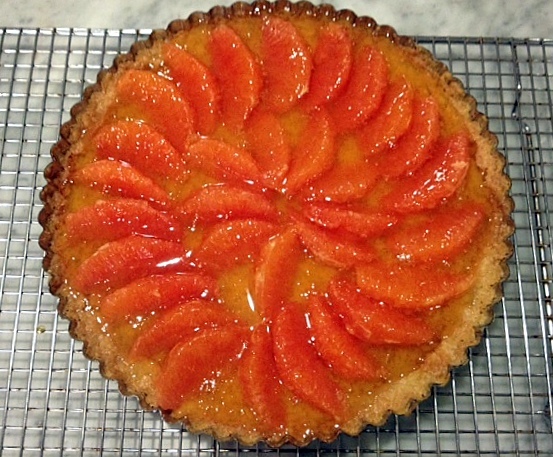 Determined to conquer this recipe, I made the tart again a few days after the dinner. But it suffered the same fate as the first, making me think of the saying, the sign of a crazy person is repeating an action and expecting a different result. 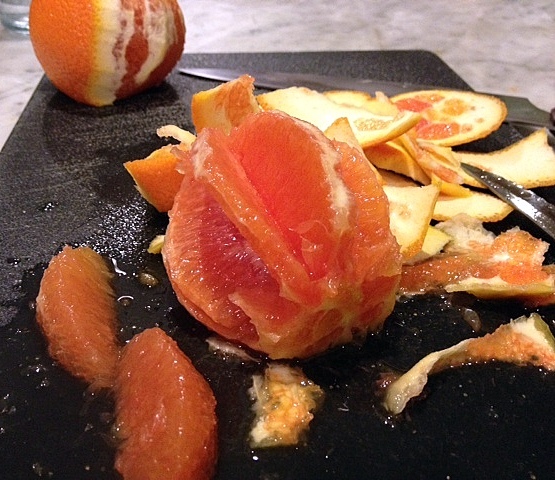 The original tart, top picture, was made with naval oranges; the repeat performance, below, was made with Cara Cara oranges, which are larger and have a redder hue. 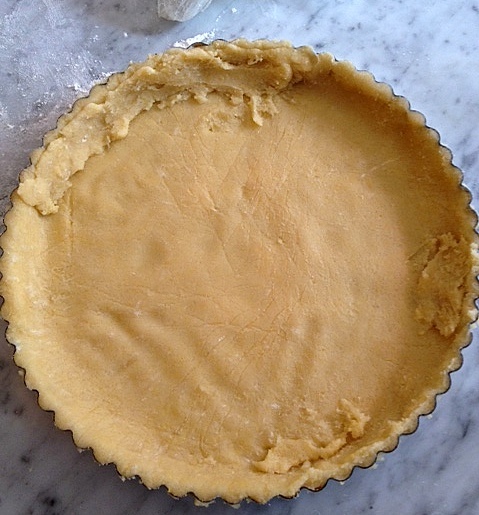 Pastry #1, below. I'm ashamed to even post a photo of this patched disaster. The second time, it looked better before baking (below), but it still shrunk horribly in the oven. 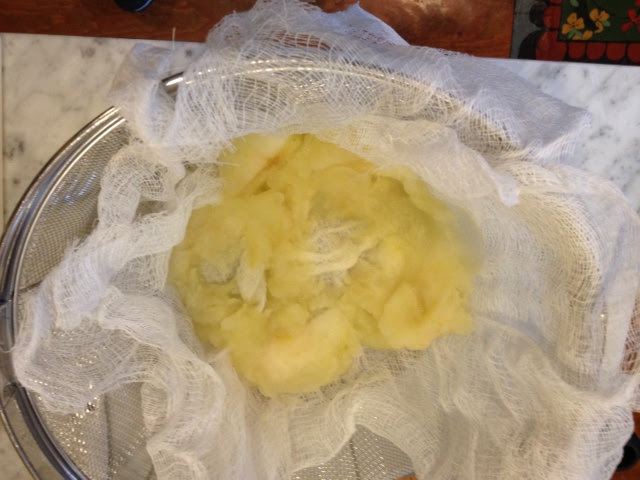 ...but the unexpected ingredient is apple "water" made by pressing cooked apples through a sieve. 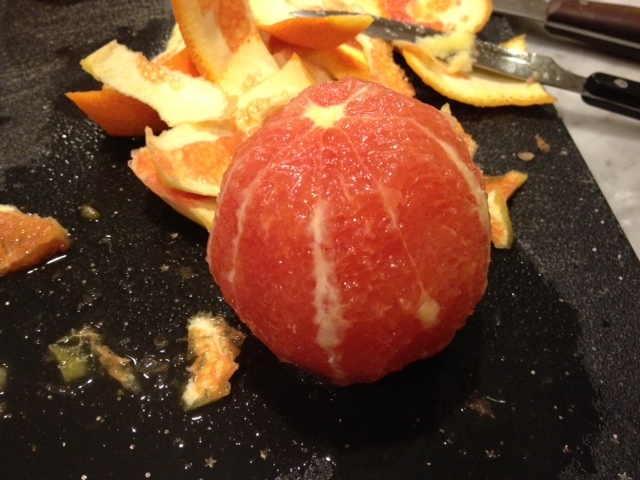 The Cara Cara oranges, below. 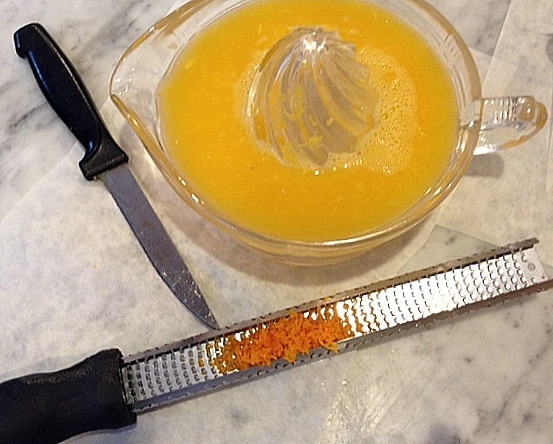 To create sections without the white pith, peel the orange with a small knife and cut into each section with the same small knife to release it. 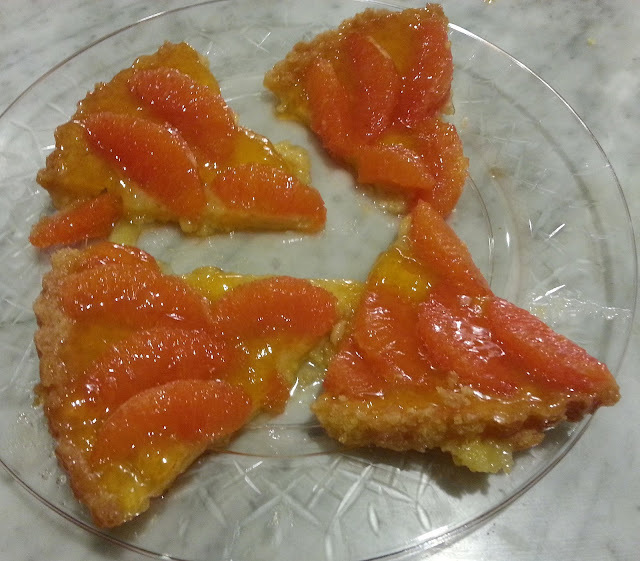 I managed to get only four decent (sort of) slices from the tart, which I quickly brought to my neighbors and their two teenage boys. Watch Antonio's entertaining, fast-action video of the dinner, our most successful yet, even accounting for the disappointing disaster. 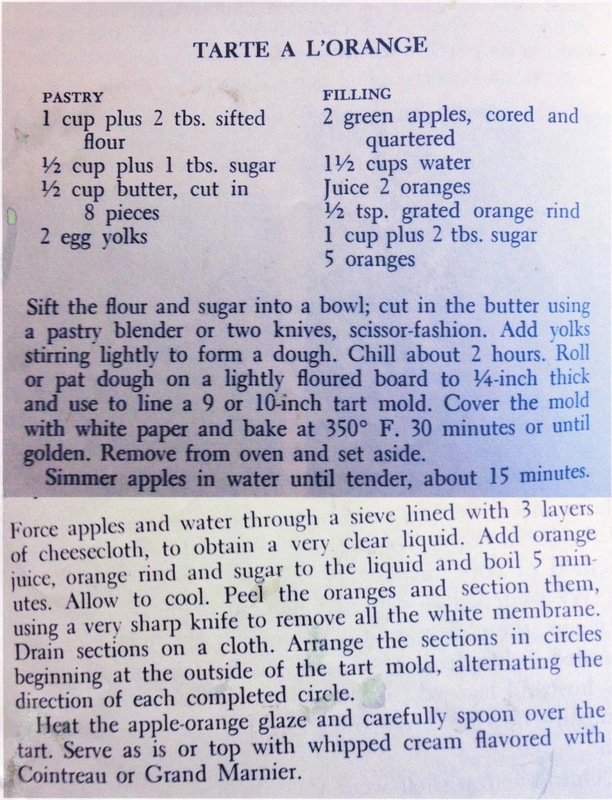 In case anyone cares to try this, here's the recipe. The topping part is flawed too. First, it's way too sweet. Second, it needs to cook way longer than five minutes to achieve a glaze-like consistency. Luckily, for the dinner, Antonio's partner, the ultra-talented positive thinker Michael Pereira, talked me into letting the sauce reduce or we would have had an even bigger disaster on our hands. Agreed, this recipe is a flop. Any chance you could make something else & post it...or just remove this recipe from the page?